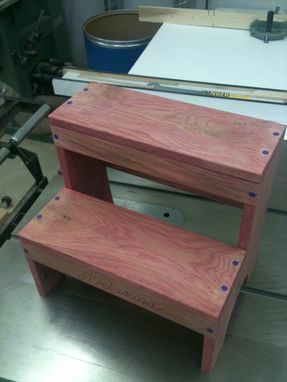 Made from solid white oak, this Whimsical Child's Step Stool is solidly built and reinforced with screws. Flush wooden plugs painted blue contrast with the "washed" red color. 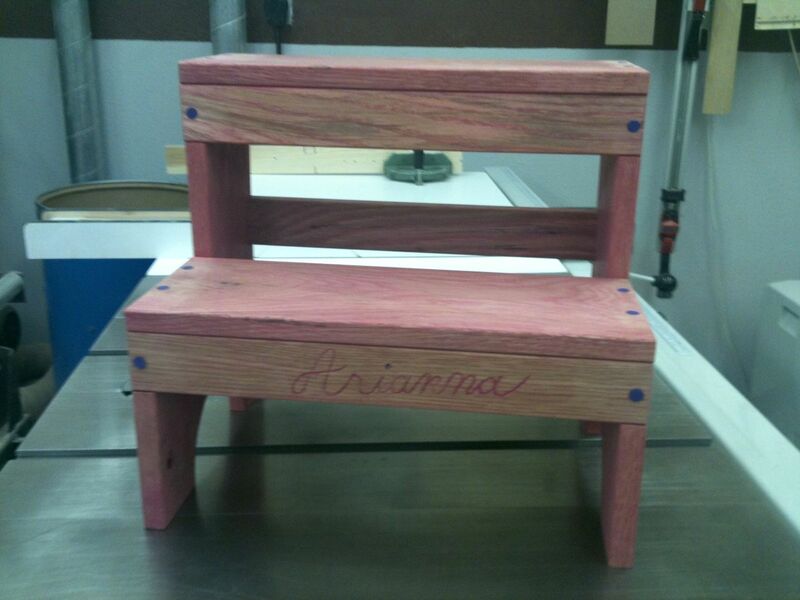 The front of the bottom step is personalized with a carving of the child's name.